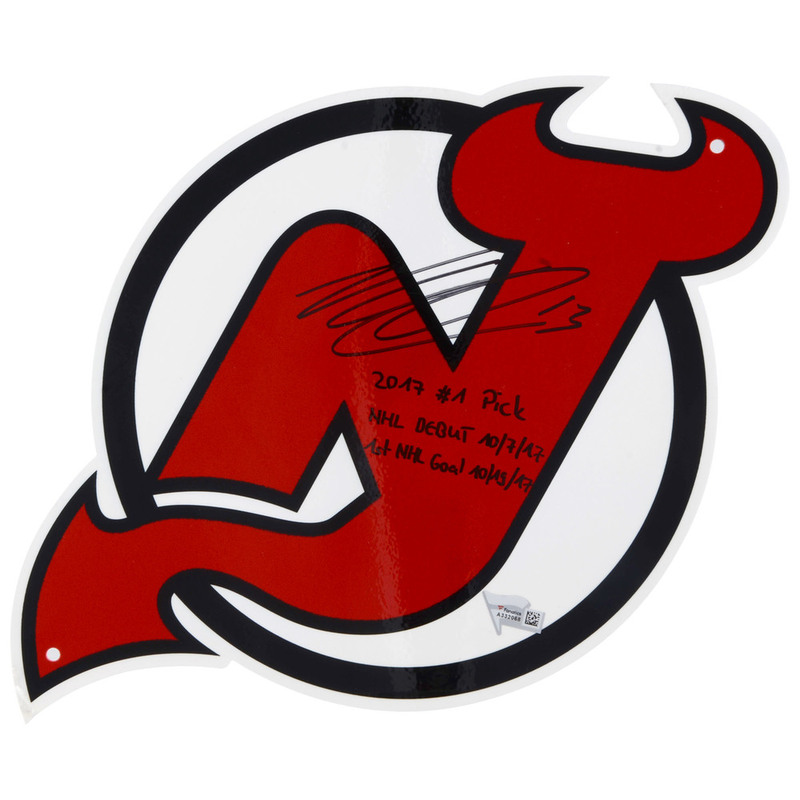 This steel logo sign has been personally hand-signed by Nico Hischier with the inscription "2017 #1 pick, NHL Debut 10/7/17, 1st NHL Goal 10/19/17." 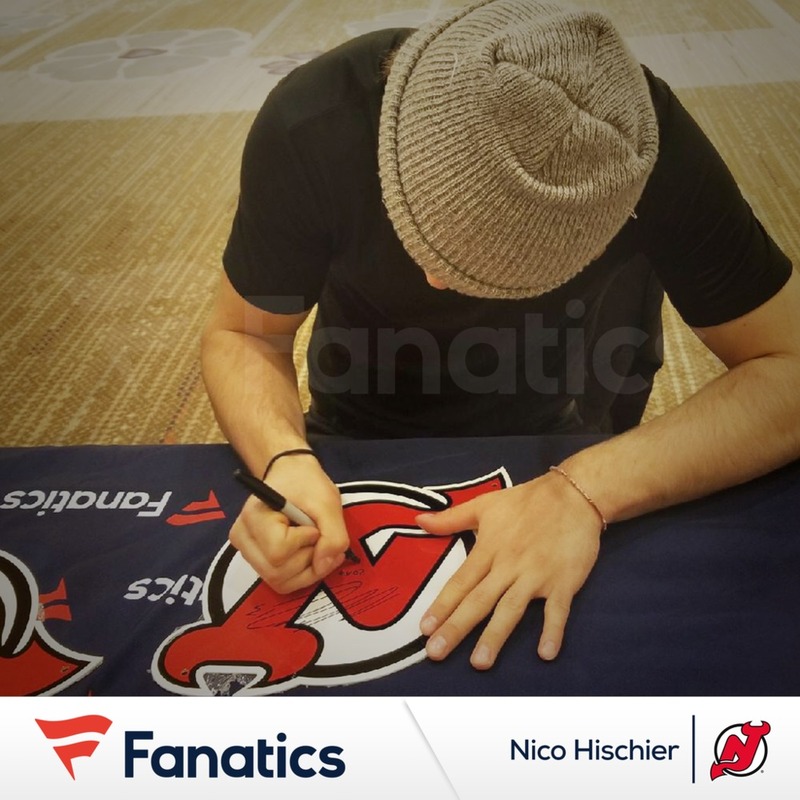 It is officially licensed by the National Hockey League and comes with an individually numbered, tamper-evident hologram from Fanatics Authentic. To ensure authenticity, the hologram can be reviewed online. This process helps to ensure that the product purchased is authentic and eliminates any possibility of duplication or fraud. It measures approximately 12" x 12". #1 in a limited edition of 3.